Egypt's prosecutor general orders the release of Al Jazeera journalist who has been on hunger strike for nearly five months. 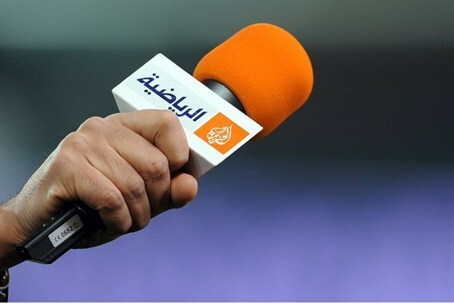 Egypt's prosecutor general on Monday ordered the release of Al Jazeera journalist Abdullah Elshamy, who has been on hunger strike for nearly five months, state media reported, according to AFP. Al Jazeera swiftly issued a statement calling for the release of three other staff on trial in a separate case. The court in that trial said it would issue its verdict on June 23 against the three journalists accused of aiding the blacklisted Muslim Brotherhood of ousted president Mohammed Morsi. The journalists are also charged with spreading false news. They were denied bail several months ago. Elshamy, who works for the main Arabic-language channel of the Qatar-based network, was arrested on August 14 last year when police dispersed protest camps in Cairo set up by supporters of Morsi. "Prosecutor General Hesham Barakat ordered the release of 13 defendants... among them Abdullah Elshamy, a correspondent with Qatari channel Al Jazeera, due to their health conditions," the official MENA news agency reported. Elshamy's family told AFP in May that he had shed 88 pounds since he began the hunger strike. "Our request to release Abdullah was accepted by the prosecutor general," the journalist's lawyer Shaaban Saeed told AFP. "He will be out of Tora prison once we finish the release procedures tomorrow (Tuesday) morning." "The decision to free Elshamy reiterates what Al Jazeera had previously said -- that Elshamy was professionally carrying out his duty as a journalist," the broadcaster said.